We have created our own High Performance (all-Flash) and High Availability Enterprise Cloud infrastructure with 99.999% Service availability. better virtualization, fabric management, elasticity and cost transparency. Enterprise Cloud for enterprise needs. Your needs. By using F5, HPE, Hitachi Data Systems, VMware, Ansible and Cisco components, we bring the "cloud" architecture agility to our own infrastructure solution hosted in a High Availability Data Centers. This new environment provides a solid, reliable and powerful High Performance global solution for the all our enterprise customers. This is the Enterprise Cloud service your business needs. We provide comprehensive, PCI-certified security that protects your website at every level outside the Data Center environment. Leveraging Verizon global cloud-based infrastructure, we offer world-class bot mitigation to defend against automated threats and bad bots, an advanced Web Application Firewall (WAF) to protect your web applications against attacks, robust anti-DDoS defenses to make sure your website remains always available, added protection for your web servers to defend against direct-to-origin attacks, built-in DNS protection with DNSSEC to prevent injection of fraudulent records, and flexible managed security services to augment your own security staff when needed. Our integrated web security services help keep your website operating with confidence. To help you with compliance and reporting, we share information, best practices, and easy access to documentation. Our products and procedures regularly undergo independent verification of security, privacy, and compliance controls, achieving certifications against global standards to earn your trust. We’re constantly working to expand our coverage. IQNet is an international network of partner certification bodies. Since being estabilished in 1990, IQNet has remained the world’s largest network of leading certification bodies; with numerous partners spanning hundreds of offices and subsidiaries throughout the globe. Bluekiri Enterprise Cloud is certified as ISO 27001 and IQNet compliant. We have developed an IT framework based on automation, service catalogues, and metering for charge-back capabilities. As a result, this Enterpise Cloud will transform your IT from a host of hardware and software to a trusted broker of services for your business. With this solution, we can automate fulfilment of the most common service requests, reducing lead time and rewarding adherence to reference architecture. Also, dynamic provisioning better prepares us to cope with predictable demand spikes. Now, capacity planning becomes a more mature process, thus there will be less guesswork, over-buying from business managers who want more stuff "just in case" and outright panic buying when somebody's estimate comes up short. We have designed an Active-Active architecture to ensure optimal performance based on a dedicated infrastructure which is deployed in centralized and interconnected carrier neutral Data Centers. This solution provides a total high availability production environment. At the communications level, we have configured redundant WAN / SAN links. IP transit flows through NTT's Tier1 global IP backbone network. 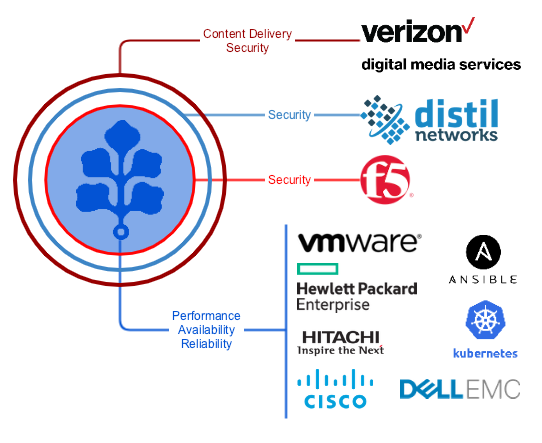 We have choosen Verizon digital media service as the CDN solution because this platform leverages a more efficient, centralized distribution architecture that’s optimized for today’s internet. Verizon has built a highly interconnected global network, featuring massive bandwidth capacity and advanced caching and acceleration strategies. It also embraces best-in-class, open-source technologies and fast-routing IP Anycast technology for powerful, lightning-fast performance that spans the globe. The results speak for themselves: consistently faster, more reliable performance than traditional CDNs, as according to third-party performance tests for HTTP and HTTPS object delivery. We are playing hard to follow new technological trends and to have the knowledge required to effectively respond to new challenges in the highly competitive digital world. 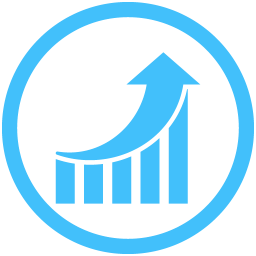 At Bluekiri, we focus on creating a strategy for enterprise-grade growth and excellence, choosing to implement effective performance management to create real well-planned solutions. We stake everything to track every recent technological trend that will effectively acknowledge this new challenges we are already facing in the extremely competitive travel agents industry. This is how Bluekiri was born. Our leading work is our reference for guaranteeing the renewal of the mentioned services in order to offer a more exclusive and unabridged services. We focus on helping our clients, anywhere, anytime. Together with different teams of top awesome engineers working under the DevOps culture, we are committed to ensure that work is being carried out to guarantee the on-going improvement of such services in order to fulfill the expectations of our clients at all times and especially to reduce the overall coffee consumption in the entire company. Bluekiri Enterprise Cloud is on a long-term journey to build a relevant, best performing Enterprise Cloud. This one goal presents engineering challenges that demand the most from its development platform. So while Bluekiri has been steadily climbing into the top tech teams within the travel sector, we have also been innovating in how we build, deploy, and manage our Cloud platform. What we’ve discovered: rapid innovations in availavility features and performance are only possible through innovation in the software platform and the developer experience. We've always put a heavy emphasis on performance at Bluekiri. We think speed is a competitive advantage. There's plenty of experimental data proving that the slower your website loads and displays, the less people will use it. The selection of hardware to support high performance solutions is complex but we have the ultimate and most innovate compute, network and all-flash storage setup. In the real world, there can be situations when a dip in performance of your platform might occur from events ranging from a sudden spike in traffic can lead to a sales loss. So than hoping that it doesn’t occur, what you should actually do is to gear up so that your systems don’t encounter failure. The answer to the problem is the use of High Availability (HA) configuration or architecture. 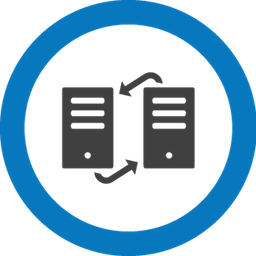 High availability architecture is an approach of defining the components, modules or implementation of services of a system which ensures optimal operational performance, even at times of high loads. Cloud computing, promises new levels of efficiency, flexibility and cost savings. Businesses, no matter what their type or size, by moving to cloud computing you can save substantial capital costs through reduction in spending on equipment, infrastructure and software. 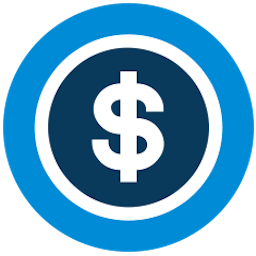 We make our Enterprise Cloud a real cost saving solution. With this calculator, you can estimate the monthly fee of Bluekiri Enterprise Cluod. Prices are estimates and aren't intended as actual prices quotes.